WHY TEXAS SHOULD SECEDE FROM THE UNION! For most Americans, August 2, 1876 in Deadwood, Dakota Territory (now South Dakota) was a part of our history long ago, the “Wild West”. 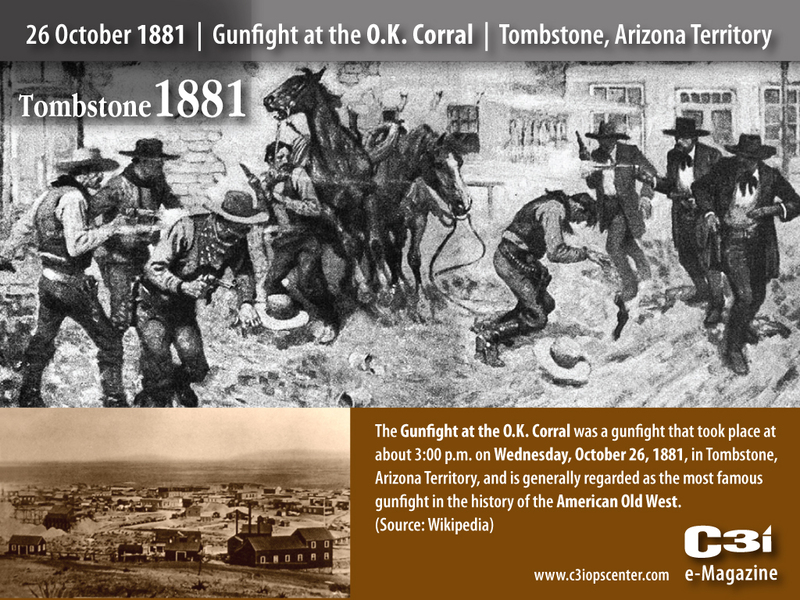 That was the day Wild Bill Hickok was gunned down in a high stakes poker game, shot in the back by Jack McCall. For Texans, it could have been yesterday. Texas leads the nation in executions every year. Now it has the potential to lead the nation in gunfights every year, cheaper than executions, therefore far more effective. To the best of my knowledge, there is no appeal process for a gunfight killing, one that takes years in court and costs taxpayers millions of dollars in legal fees. Fiscal conservatism! Of course, the NRA is celebrating this great victory. We can only hope some of the Republican legislators supporting this bill will accidentally get caught in the crossfire. Now that would be real “Texas justice”! In recent years, there have been a plethora of campus killings as a result of random acts of violence. The theory behind this new law is that if faculty members & students carry weapons they will be able to defend themselves. However, even if one were to assume that a concealed handgun could stave off a barrage of bullets from an uzi or an assortment of other military-style assault weapons, it certainly is not going to solve the problems of individuals with mental health issues from committing these heinous acts. Perhaps laws limiting access to these types of weapons would be a more prudent, and certainly, a more intelligent approach. On April 16, 2007, Seung- Hui Cho, a senior at Virginia Tech , with a history of mental illness, was responsible for the massacre of 32 students (wounded 17 others). His psychiatric history was withheld from the university as a result of privacy laws. In 2005, a judge declared Cho mentally ill after accusations that he stalked two female students at the university. He was ordered to attend treatment, which clearly had minimal affect. Yet, Cho was permitted to purchase guns under Virginia laws because he had never been institutionalized . The NRA should declare Texas its “favorite son”. They should change their mantra to “Texas represents the NRA and the NRA represents America”. Only it does not! It represents every redneck American who believes that owning an assault weapon is a God-given right (obviously the Greek God Ares) and that the government is going to attack his/her home any moment with a secret military unit called SPAF (Secret Police Against Freedom). On June 9, 2015, the 5th U.S. Circuit Court of Appeals upheld Texas legislation intended subversively to close abortion clinics in the state. In showing complete contempt for Roe v. Wade, the court voted to allow Texas to inflict severe regulations on all abortion clinics in the state, in an unmitigated attempt to shut them down. These laws put a totally unmanageable financial burden on these facilities, mandating that they spend mega-bucks to upgrade the standards to those of “hospital level operating standards” and to impose an arbitrary standard on them that all staff physicians must have admission privileges at a local hospital. The net effect is that a woman may have to travel hundreds of miles to access an abortion clinic, basically annihilating her “freedom of choice” and in direct violation of her civil rights. Prior to this legislation, Texas has an approximate total of 40 abortion clinics in the state. That number will most probably now be reduced to seven or eight. Note: The total population of Texas in 2014 was approximately 27 million residents. In Mississippi, a different 5th U.S. Circuit Court of Appeals ruled that “Mississippi could not enforce “its admitting privileges law” because enforcement would cause the state’s “only abortion clinic” to close. It appears that since Texas would still have a few abortion clinics left in the state, the court ruled that this case was separate and distinct. The court stated in the decision that women in El Paso would not have an undue burden on them because “women in El Paso could simply leave the state and travel to New Mexico if they wanted to have the procedure”. Note: the nearest abortion clinic to El Paso remaining open would be in San Antonio, more than 550 miles away. Of course, Texas women can always cross the border easily into Mexico to “seek back-alley abortions” now that the Religious Right has prevailed legislatively. Governor Greg Abbott hailed this decision as a major victory for Texas women’s in providing them with better health care protection. Texas should change its Nickname from the “Lone Star State” to the “Tea Party State” and elect Sarah Palin as its next governor (her non-residence is a minor issue, one that I am certain the Texas Supreme Court can find a way to circumvent, like every other law). Truthfully, if Attila the Hun were currently the governor of Texas, it is unclear that the state could be any more barbaric than it currently portrays itself to the nation. Question: has anyone checked out www.ancestry.com to see if Greg Abbott is a direct descendant of Attila? It is my personal recommendation that Texas secede from the Union. This would validate its “Lone Star” status once and for all. It would also save the rest of the country from the mindless legislation that seems to prevail in the comic opera that headlines under the name of the Texas Legislature.